Hungary’s Prime Minister Viktor Orban defended his country’s new constitution before the European Parliament in Strasbourg on Wednesday, saying it is based on fundamental values of democracy and freedom. Orban’s trip to the EU assembly came after the European Commission launched legal action against Hungary due to concerns the new charter undermines the independence of its central bank, the MNB, and its judiciary. Poland has indicated it might not sign the EU fiscal treaty unless it is allowed to take part in future eurozone summits. Polish Prime Minister Donald Tusk criticised the latest draft of the compact – which envisages regular and exclusive meetings of countries which use the single currency – at a press briefing in Warsaw. “Our efforts aim at a fiscal agreement the shape of which does not make the division of Europe into two clubs – the eurozone and countries outside the club – more lasting than is safe in our opinion,” he said, according to Polish media. MEPs have also warned that the draft compact risks dividing Europe and widening the democratic gap. 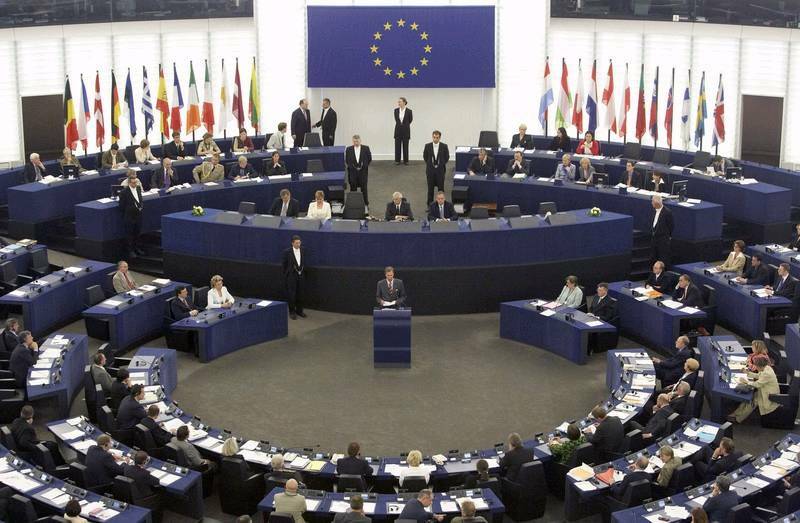 MEPs have questioned the necessity of the new fiscal treaty, noting that its aims – to balance national budgets – could be more effectively achieved through normal EU law. Meanwhile, the possibility of the pact triggering a referendum in Ireland, the Czech Republic and Romania poses uncertainty as to the compact’s ratification. The number of countries required to adopt the pact for it to enter into force has yo-yoed from 9 to 15, only to be lowered again to 12 in the third version of the text. Last week’s announcement by Scottish First Minister Alex Salmond that he intends to hold a referendum on Scotland’s independence in 2014 suggests uncharted legal territory for the EU. A newly independent Scotland would raise a number of thorny questions around its relations with the EU – including whether it would have to fully renegotiate membership and whether it would be obliged to become a member of the euro. Never in the history has a member state broken up and then had its successor part seek EU membership (Greenland, which used to be part of Denmark, left the then EEC in 1985). Salmond’s Scottish National Party has insisted that an independent Scotland will simply remain in the EU and that it will have a referendum on whether to join the euro. Italy‘s prime-minister, Mario Monti, has pledged that UK taxpayers will not be asked for bailout funds following his commitment to spending cuts and labour market reforms. After a meeting on Wednesday in London with David Cameron, Monti said UK taxpayers had not provided bailout funds to Italy so far and that there was no reason why he would ask for them in the future. Monti’s comments came after the International Monetary Fund warned it needed at least $500bn (£324bn) in extra funds to support indebted countries, including members of the eurozone, should they be locked out of international money markets. The fund confirmed on Wednesday that it was looking to boost funding to $1tn, a shift that would require as much as £19bn from the UK on a proportional basis. One of the world’s most famous human rights judges, the charismatic and controversial Spaniard Baltasar Garzón, is on trial this week in proceedings that threaten to bring an end to his career. This week’s case is the first of three private prosecutions the supreme court has allowed against Garzón for alleged deliberate abuses of his magistrate’s powers. State attorneys have refused to back the prosecutions. Many believe that the proceedings are politically motivated and a result of Garzón opening a court investigation into the death or disappearance of 110,000 people allegedly killed under Franco’s regime. The Lords EU Committee is conducting a short inquiry into the euro area crisis and the fiscal compact. The inquiry will focus on the ongoing euro area crisis, the 9 December European Council meeting, and the proposal for a treaty between up to 26 EU member states on budgetary discipline and greater economic cooperation. Finally, a former UK government official has admitted Britain was caught spying when Russia exposed its use of a fake rock in Moscow to hide electronic equipment. Russia made the allegations in January 2006, but this is the first time anyone in the UK has publicly accepted them. Jonathan Powell, then Prime Minister Tony Blair’s chief of staff, told a BBC documentary it was “embarrassing”, but “they had us bang to rights”.